How do they relate? 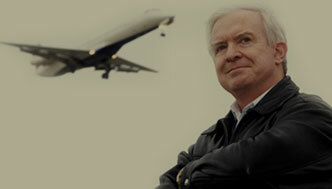 John Nance explores the intersection between patient safety and flying. Speeches can be tailored to you and your organizations needs. For over 30 years, John has served as a leader and a pioneer in both aviation and medical safety and quality, and for the past 18 years he has become a familiar face to North American television audiences as the Aviation Analyst for ABC World News and Good Morning America. As a professional speaker, John has given thousands of presentations over the last three decades to corporations, hospitals, military groups & government departments, as well as a who's who of medical and healthcare organizations on three continents. With a rock-solid reputation for accuracy and relevance, he delivers highly informative, customized presentations in a highly effective blend of information and motivation delivered in a unique and entertaining style. John's programs for healthcare on creating patient safety, surviving financially, avoiding medical malpractice disasters, and the establishment of Accountable Care Communities in the brave new world of the Affordable Care Act, have all been characterized as game changers for doctors, nurses, hospitals, healthcare systems, C-suites and boards alike. His programs about establishing safety systems in any human organization are also in great demand in other major disciplines such as aviation, the petroleum industry, and the corporate community. According to just one of uncounted accolades, "The invaluable strength of John's presentations is his unprecedented ability to engage an audience where they live, addressing the very things that make a difference to them, and providing a solid and immediate foundation for change. He does it with humor, authoritative information, and an infectious personal dedication to change that leaves both a lasting impression and real alteration of the way his audience thinks." John J. Nance is also the internationally known, New York Times Bestselling author of 19 major books – 13 of them highly successful novels. Two of his novels have been made into successful television mini-series. His novel Blackout was named one of the "Best Novels of 2000" by the Los Angeles Times, and his major non-fiction work on healthcare: Why Hospitals should Fly, was named the 2009 Book of the Year by the prestigious American College of Healthcare Executives. For speaking engagements or interviews, contact us at (253) 307-6155 or send us an e-mail. To contact John directly, send him an e-mail. John Nance & Associates, (253) 307-6155, info@johnjnance.com | Base Content Copyright © 2019 Market Hardware, Inc.